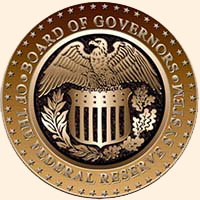 The monetary policy acquired an aggressive edge on June 14, when the Federal Open Market Committee (FOMC) formalized the balance sheet normalization program and decided to not rollover part of the proceeds from the $3+ trillion bond buying initiated as a response to the 2008 financial crisis. The Federal Reserve's decision to concurrently remove both forms of monetary accommodation - raising interest rates and tightening money supply by reducing the size of the Federal Reserve's balance sheet - at a time of weakening inflation data, appears to be a path that can encourage an economic slowdown. "We do believe that if the Federal Reserve this year begins and maintains its balance sheet normalization program as outlined, then it will be forced to moderate its pace of interest rate increases in 2018. Based on the current data, not doing so will elevate the risk of an economic slowdown...In our opinion, if the inflation data remains highly benign, a reasonable possibility can be the beginning of the balance sheet normalization process later in 2017, offset by the deferment of the final rate increase for this year into 2018." Monetary Policy along with Earnings and Economy are three key determinants for market valuation. All three have been supportive of the stock market, creating a Goldilocks situation which has allowed the market to remain resilient - in spite of growing predictions for a deep correction and bear market fears as pointed in our past articles. A sharpening of the monetary policy elevates the risk of an economic slowdown and possibly a recession, thus beginning to change the supportive framework for the stock market. 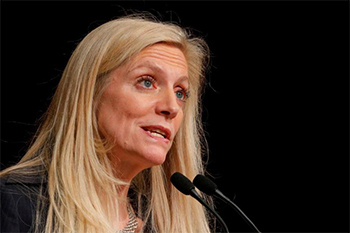 However, this week evidence has begun to emerge of a growing shift in the thinking of FOMC about a potential double-whammy impact on the economy, and an openness towards recalibrating the interest rate path. "Once that process begins [balance sheet normalization], I will want to assess the inflation process closely before making a determination on further adjustments to the federal funds' rate." This is a very important statement. A balance sheet rollback has a qualitatively similar impact as an interest rate hike - and doing both at the same time, in our opinion, can be considered as a doubling of the planned number of interest rate increases. A recognition at the FOMC of such an outcome is a strong positive. 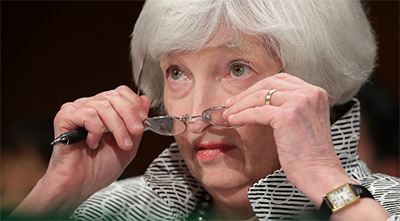 Equally importantly, Federal Reserve Chair Janet Yellen indicated yesterday on July 12, that the Federal Reserve will shrink the balance sheet "appreciably," and that future interest rate hikes are more data-dependent on inflation readings. This viewpoint is a critical change from an earlier position that interest rate hikes can continue without much near-term emphasis on inflation readings. The emerging Federal Reserve viewpoint is prudent and also aligned with what we had reasoned and suggested a couple of weeks earlier in our article. The answer to the question, Will The Federal Reserve Avoid A Slowdown as a result of its more aggressive monetary policy actions, appears to be favoring a "Yes," as a likely outcome for the next year. However, the proof will be in policy actions and we will have to wait till the FOMC meeting in December 2017, when the FOMC has its final chance in 2017 to raise interest rates. 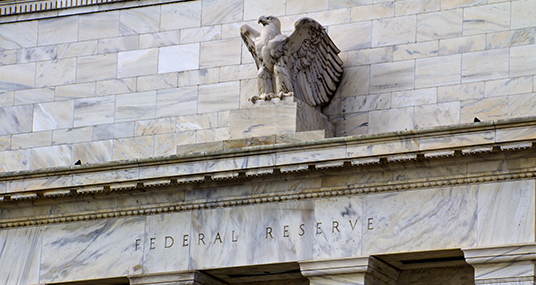 With a greater recognition within the Federal Reserve of the risk of removing both forms of accommodation without any adjustments, the elevated risk of an aggressive monetary policy should begin to subside. We believe the Federal Reserve will begin its balance sheet normalization program in September 2017 and cushion its impact by dismissing the planned third interest rate increase for this year. We are also of the opinion that any decision on further interest rates increases should be deferred till such point as the economic impact of a balance sheet rollback can be understood and measured. As is often the case, the impact of new policy actions is not as predictable as may appear in economic models and analysis. A shift back to a moderate Monetary Policy will be a positive for stocks and, along with Earnings and Economy, will maintain a favorable environment for stocks to move higher. Earnings season is expected to pick up the pace from next week onwards. The expected earnings growth rate for S&P 500 (SPY) companies is +6.5%, as per Factset. The S&P 500 (SPY) and Nasdaq (QQQ) have recently tested their mid-term technical level of 50-day moving average and bounced higher. If earnings momentum that built up in the first-quarter persists for the second quarter, we can begin to witness further new highs by end of next week. However, on a cautionary note, the new health care bill is scheduled to be voted upon next week. Any delays or failure can cause near-term transitory pressure, which should be offset by an expectation of stronger than expected earnings. It is not only large cap, widely-held, technology sector (XLK) stocks like Amazon (AMZN), Facebook (FB), Google (GOOG), Alibaba (BABA), Microsoft (MSFT), Nvidia (NVDA), and Netflix (NFLX) that are poised for strong earnings. Even sectors like healthcare (XLV) and materials (XLB) are anticipated to contribute strongly to S&P 500 earnings growth rate. Biotechnology (XBI) also heads into the earnings season in stronger shape and poised for new highs, with large-cap focused sector ETF (IBB) breaking through long-term resistance last month and thereafter consolidating. There is a confluence of a number of favorable factors that are assisting Biotechs, as discussed in our series, Biotech's Best Chance! In addition, the small cap stocks have been consolidating for the entire second quarter as shown by the Russell 2000 index (IWM) and can be poised for a breakout. We remain fully invested in our Prudent Biotech Portfolio as well as the Graycell Small Cap Portfolio, which have returned +18% and +12% respectively this year, ahead of their benchmarks. We continue to believe biotechs and small caps offer opportunities for further gains, and some of the promising stocks include, Incyte (INCY), Regeneron (NASDAQ:REGN), Celgene (CELG), Exact Sciences (NASDAQ:EXAS), Vertex Pharmaceuticals (NASDAQ:VRTX), Supernus Pharmaceuticals (NASDAQ:SUPN), Puma Biotechnology (NYSE:PBYI), Exelis (EXEL), Grifols (NASDAQ:GRFS), Tesaro (NASDAQ:TSRO), Axovant Sciences (NYSE:AXON), Kite Pharmaceuticals (NASDAQ:KITE), Bluebird (NASDAQ:BLUE), Aeri Pharmaceuticals (NASDAQ:AERI), Novocure (NASDAQ:NVCR), Foundation Medicine (NASDAQ:FMI), Akebia Therapeutics (NASDAQ:AKBA), Loxo Therapeutics (NASDAQ:LOXO), TG Therapeutics (NASDAQ:TGTX), Esperion Therapeutics (ESPR), Universal Display (NASDAQ:OLED), RH (NYSE:RH), MiMedx Group (NASDAQ:MDXG), Pegasystems (NASDAQ:PEGA), Weight Watchers (NYSE:WTW), Kemet (NYSE:KEM), and Kronos Worldwide (NYSE:KRO). As always, kindly do your own due diligence and invest in a portfolio of stocks reflecting your risk tolerance. The article was submitted to Seeking Alpha on July 16 and was first published there.